In summer, I enjoy iced concoctions from the garden, fruity, floral and a hint of herbs. But when the weather turns autumnal, I prefer a hot beverage, both fruity and spicy. 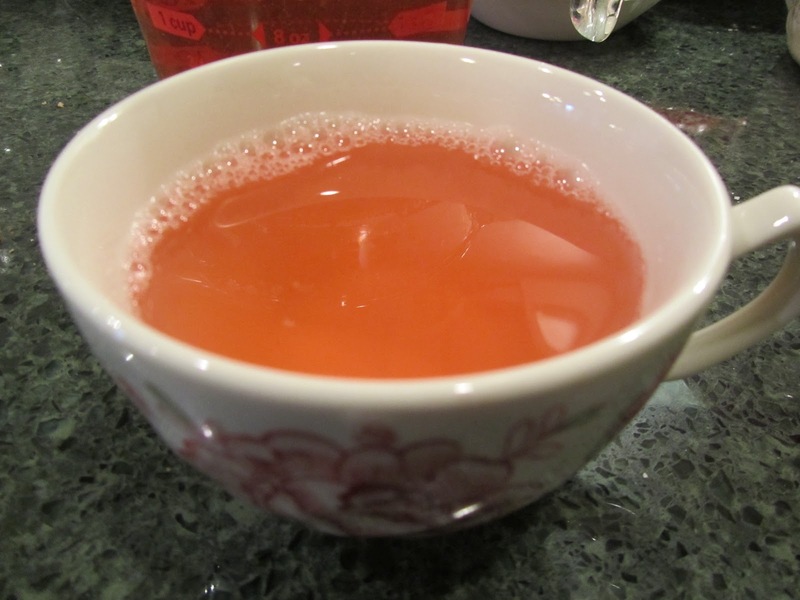 This is an all natural, autumn fruit and spice infusion. 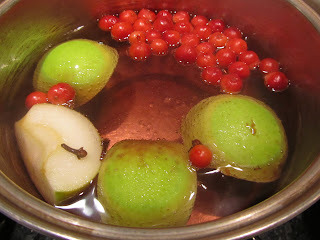 It uses 1 apple, some cranberries, whole cloves and a cinnamon stick. In a non-reactive saucepan, pour 4 cups of water, add 1 medium apple, quartered, stem and seeds removed (if the apple has been waxed or sprayed with pesticides, peel as well), 1 handful fresh or frozen cranberries, 6-8 whole cloves and a 1 to 2-inch piece of cinnamon stick. Bring water to a boil, simmer for 45 minutes to an hour (to taste, I simmer mine for 1 hour). Strain through a mesh strainer. Sweeten with honey, sugar or sweetener of choice, to taste. This infusion will keep in the fridge for up to 5 days. Both cinnamon (in stick or oil form) and cloves appear to have insulin boosting and cholesterol reducing effects in pre-diabetic and diabetic patients. For more information on research in this area, here's an article that may interest you at news.healingwell.com. I bet it smelled good, too. it made the entire house smell wonderful! I'm so glad to provide these directions, then! I'll look into that book, thanks for the URL. Bet this smelled yummy and tasted even better! It did! I love the smell of cinnamon in the fall.